This site is about those men and women from the Parish of Crich who served during the Great War. The purpose of these records is to ensure that they are much more than "just a name" on a Roll of Honour. The original 1920 Roll of Honour in St Mary's Church, Crich had 395 names. We discovered many omissions and errors on this Roll and a Roll of Honour was produced for 2014. This 2014 Roll had 425 names, ranks, regiments and where known, photographs. Subsequently more names, photographs and regimental details were discovered. A new 2018 Roll has been created [with thanks to Steve Ferguson-Swain] to replace the 2014 Roll having 472 names and 312 photographs. The complementary book, "Crich Parish; Those who went to war 1914–1918" contains more photograhs of the men – there was not room on the printed roll to include all the photographs. To view a pdf of this Roll of Honour (6.7 Mb) Click here. You will need a pdf viewer to open it. Crich Parish consists of the villages of Crich, Whatstandwell and Fritchley. It also includes the 'hamlets' of Crich Carr, Wheatcroft, Wakebridge, Coddington, Bullbridge, Moorwood Moor and Plaistow Green. 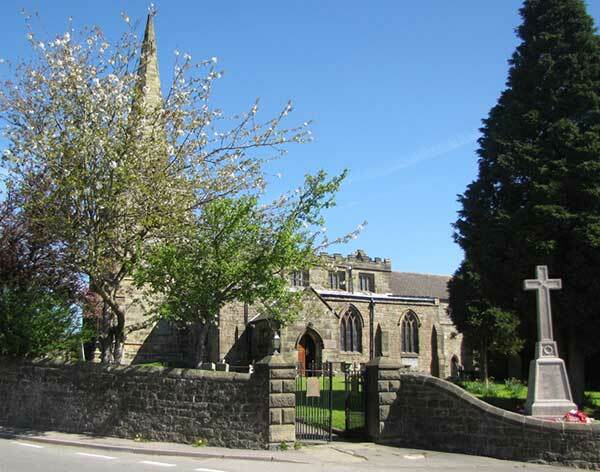 Some of the people involved lived outside the parish but had strong connections with Crich Parish and have been included in the records. These records commemorate all those who served in the 1914–1918 War. Some of the men returned whilst others lost their lives in the conflict. Many of the men returned wounded, ill or mentally damaged. This is work in progress. Please feel free to contact us and add further information or add corrections. It is hoped to complete it during the 2014–2018 centenary of WW1. This research was supported by a grant from the Heritage Lottery Fund.